State Dept: No Travel Restrictions on Pakistani Diplomats in US - Integration Through Media ....! 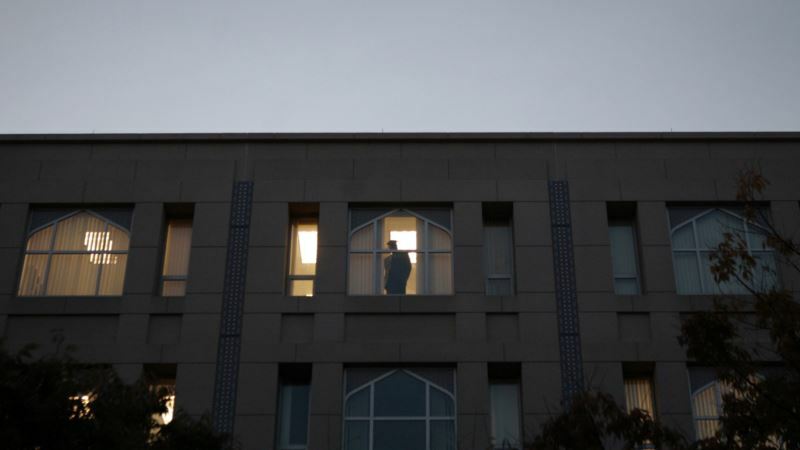 (VOA): The U.S. State Department says there are no restrictions on the travel of Pakistani diplomats in the United States, after reports their movement would be restricted. Pakistani and Indian media said the Trump administration has notified Pakistani authorities that diplomats at the country's U.S. embassy and consulates will not be able to travel more than 40 kilometers (about 25 miles) from their post without permission. The reports indicate the measures are expected to take effect in May. When asked about the reports, a State Department official told VOA in a statement, "there are no restrictions on the travel of Pakistani diplomats in the United States." But the official did not say whether there are plans to impose such restrictions in May. Pakistan's embassy in Washington told VOA Tuesday that it has received no information about such restrictions. The White House has not yet responded to inquiries about the reported policy change. The news comes amid heightened tensions between Islamabad and Washington over the war in Afghanistan and longstanding U.S. concerns over the Pakistani military's ties to the Taliban and other militant groups. Last week, a U.S. defense attache at the U.S. mission in Islamabad was involved in a deadly traffic accident that killed a motorcyclist and injured another. Pakistani authorities have pressed for the attache, Col Joseph Emanuel Hall, to stand trial. The U.S. embassy has said it is cooperating in the probe. VOA's Urdu Service contributed to this report.